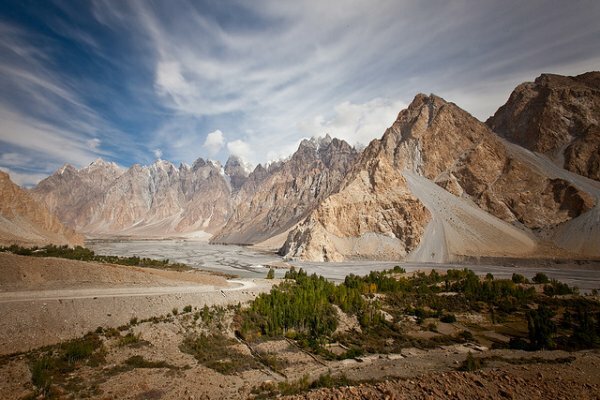 The chairman of the Gilgit-Baltistan United Movement (GBUM) has demanded that the Pakistani government clear up certain questions about Chinese presence in the region, and also disclose details about the 1963 border agreement between the two countries. “Engineer” Manzoor Parwana, the Chairman of the Gilgit-Baltistan United Movement (GBUM), has demanded that the Pakistan Government come clean on Chinese activities in Gilgit Baltistan. The government, he said, should also disclose details of the Sino-Pak border agreement of 1963 under which Pakistan is said to have handed over 19,360 square kilometers of Gilgit Baltistan to China. “Pakistan gifted to China large tracks of Aghil, Shimshal, Raskam and Shaksgam valleys of Gilgit-Baltistan,” he claimed. “It may be true that the strategic location of Gilgit Baltistan is attracting the attention of global powers. However, the interests and rights of natives cannot be sacrificed to accommodate such aspirations,” he said. “Pakistan and China’s unwarranted activities in Gilgit-Baltistan are causing instability and may as well threaten the wellbeing of natives in the long run. If terrorists attack passenger buses and foreign tourists near KKH, this is a conspiracy against the friendship of China and Pakistan, and will be a constant threat to Gilgit-Baltistan,” Parwana said. Parwana requested citizens of Gilgit-Baltistan to remain united to achieve liberty.